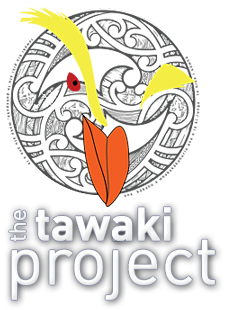 By now, the majority of tawaki have returned to the New Zealand mainland to go through their annual moult. Many of the birds return to their breeding colonies to hang out with their partners while they patiently wait for last year’s feathers to be replaced with a flash new plumage. However, many young birds and non-breeders that don’t have a partner or nest site to return to, make landfall wherever it suits them best. 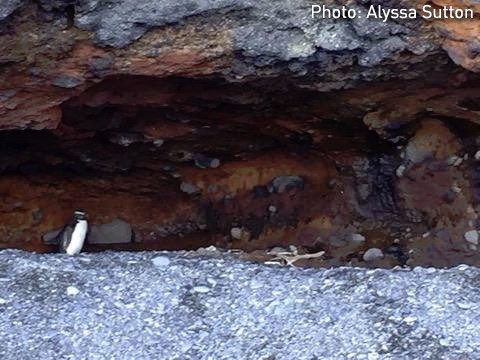 For example, last year of the five penguins we managed to track throughout their pre-moult journey, only three came back to Gorge River. The other two decided to enjoy a change of scenery and went through their moult in Dusky and Sutherland Sound, respectively. Admittedly, that’s still very fiordlandish. So how about this guy who was spotted by Alyssa Sutton at Birdlings Flat on the southern end of Bank Peninsula, Christchurch? At a first glance, it appears that the bird may have taken the wrong turn and ended up on the wrong side of New Zealand’s South Island. 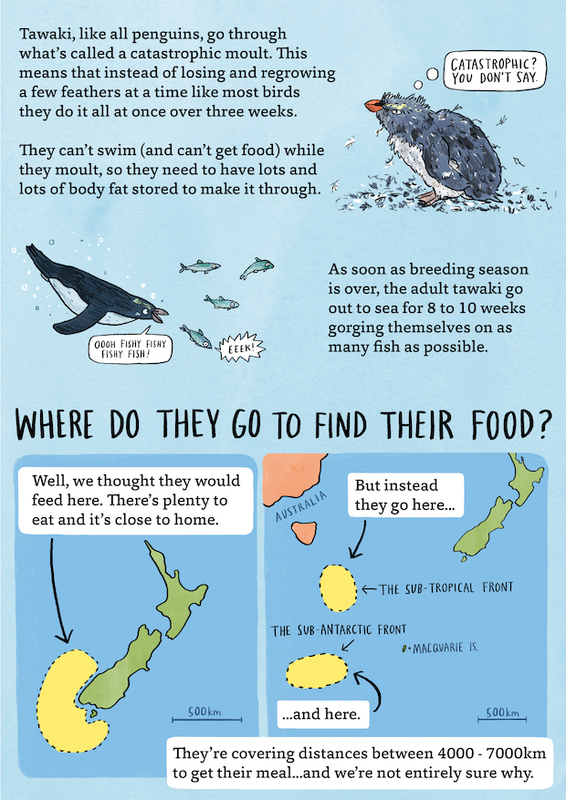 In fact, in the past, tawaki found moulting on Banks Peninsula have been picked up by well-meaning people who then shipped the birds over to the West Coast by road because the penguins “clearly did not belong here”. But who are we to judge where tawaki belong? 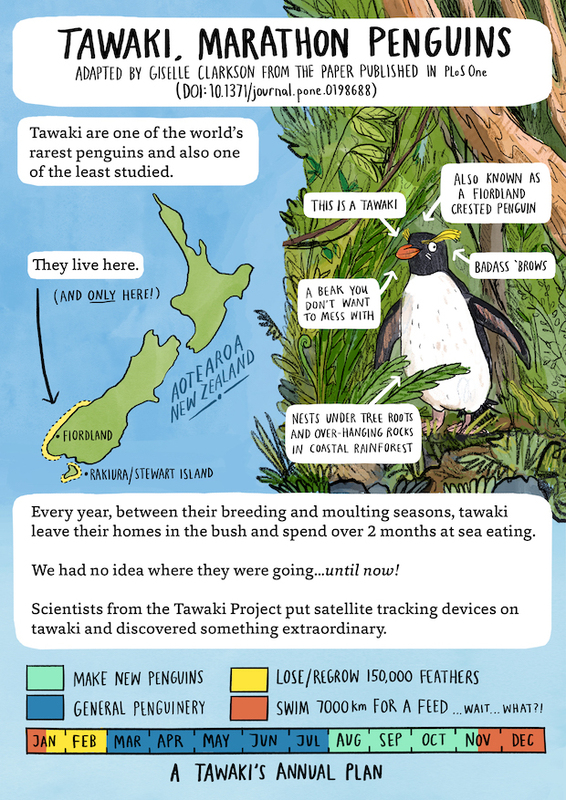 These birds can travel 6,000 kilometres in 8-10 weeks, so that a tawaki could circumnavigate all of New Zealand in half that time. 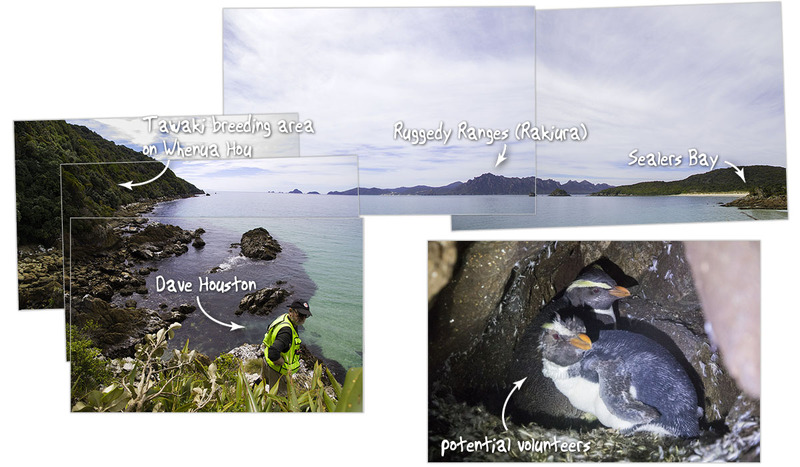 Tawaki moulting along the Otago coast line is perfectly normal; they are even trying to breed there (http://bit.ly/2DXC6kE). And the Banks Peninsula is not that much further. The ocean around the southern half of New Zealand’s South Island is dominated by the Southland current which flows down the West Coast, around Stewart Island and then up the Southland and Otago coast towards the Banks Peninsula. 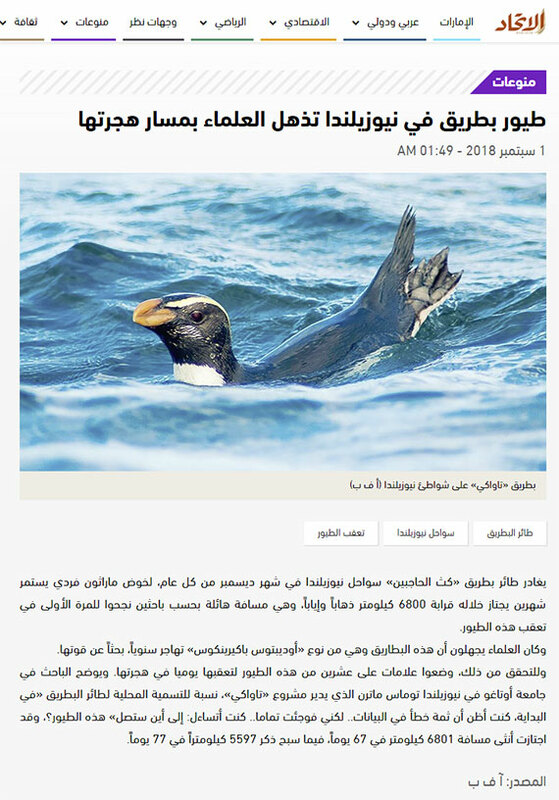 It is a very productive area that many seabird species forage in. 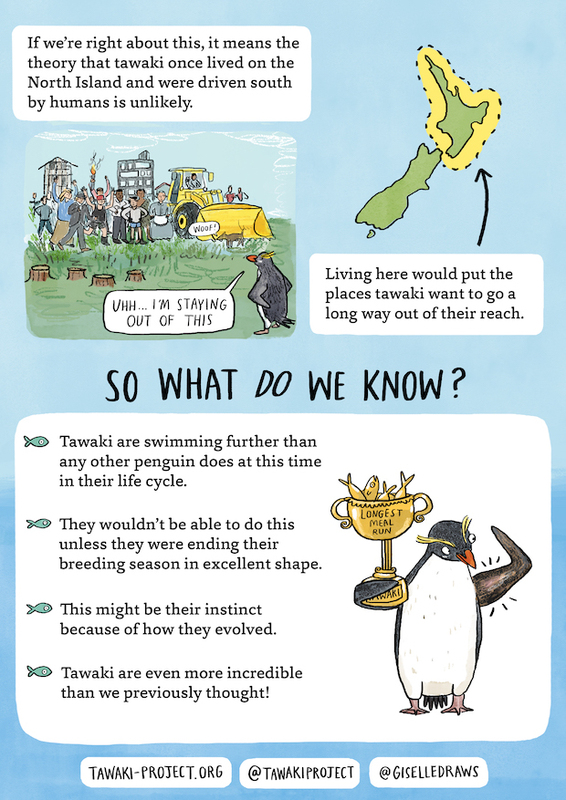 As such it makes a lot of sense for tawaki outside of the breeding season to make the most of these productive waters. 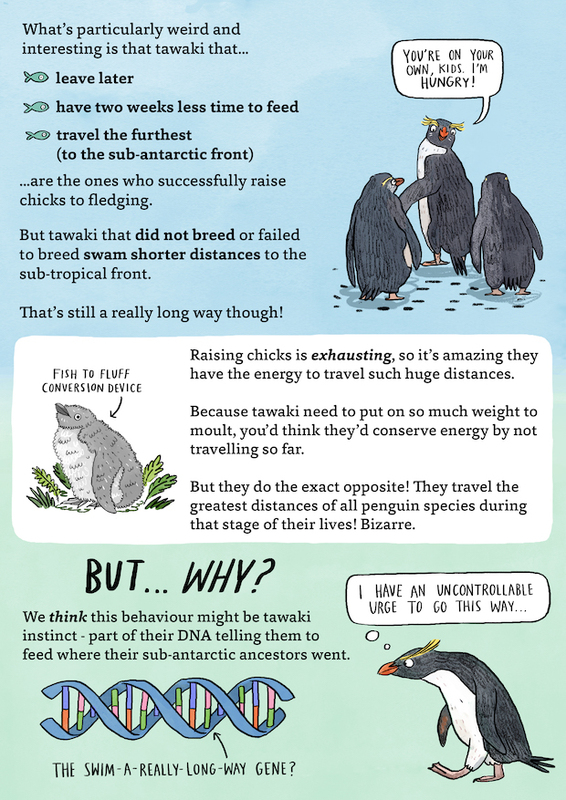 So if you encounter tawaki anywhere on the South Island’s coasts at this time of the year… it’s where they belong. And unless the birds are severely injured or look terribly thin with the breastbone sticking out (e.g. http://bit.ly/2DKGbFO) – they don’t need our help.